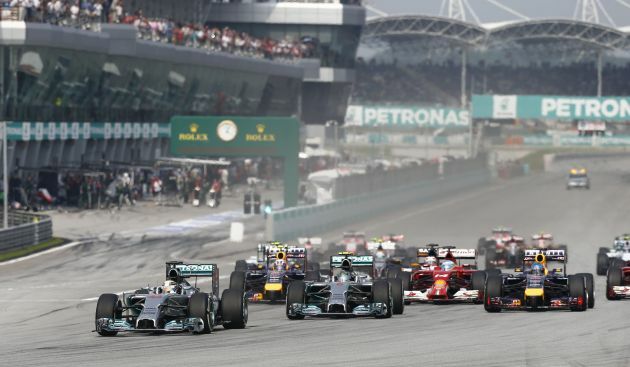 Formula 1 might make a come back to Malaysia’s Sepang International Circuit (SIC) if Prime Minister Tun Dr Mahathir Mohamad has his way. He said this when speaking at the American Malaysian Chamber of Commerce luncheon in Kuala Lumpur in a The Star report. Dr Mahathir acknowledged that despite not hosting motorsports premier race, SIC still has a busy calendar hosting races and events. However, he felt that by hosting Formula 1 again, spectator numbers would increase. “We will be able to get spectators, more than 100,000 people and that will be worthwhile for us,” he said, having previously expressed this view. “Besides, when we have the Grand Prix, the television stations will broadcast this all over the world, bringing about 200 million viewers,” Dr Mahathir said, increasing foreign exposure for Malaysia. Former prime minister Datuk Seri Najib Razak announced the cancellation of Formula 1 at SIC in 2017 because the event had posted decreasing revenue yearly since it was first held in 1999 but also said the race could return under terms favourable to Malaysia. 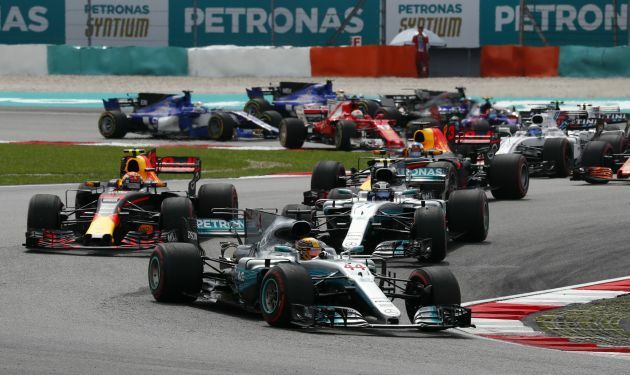 Former tourism and culture minister Datuk Seri Mohamed Nazri Abdul Aziz was cited as saying hosting Formula 1 costs Malaysia RM300 million per round while SIC chief operating officer Datuk Razlan Razali said there are many factors to consider before a return to hosting the Grand Prix is possible. SIC currently hosts a round of the MotoGP World Championship, the FIM Endurance World Championship (EWC) for motorcycles and the World Touring Car Cup (WTCR), with Super GT scheduled to return in 2020 as well as local race series Malaysia Speed Festival (MSF). 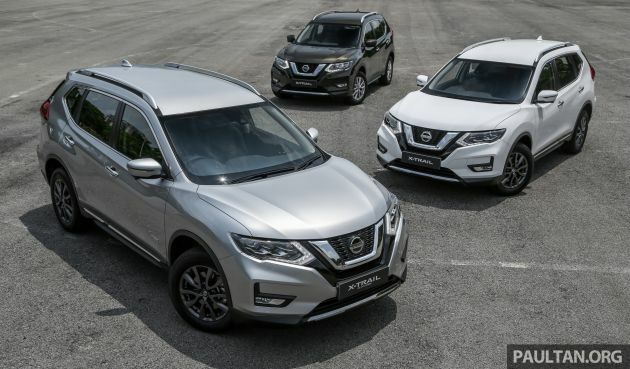 Edaran Tan Chong Malaysia (ETCM) has finally announced the official pricing for the Nissan X-Trail facelift, and it is indeed the same set of figures we first saw at the 2019 Malaysia Autoshow. The entry-level 2.0L 2WD costs RM133,888, 2.0L 2WD Mid at RM145,888, 2.5L 4WD at RM153,888 and the top 2.0 Hybrid 2WD at RM159,888. All models are EEV-certified and share the same Xtronic CVT with manual mode. 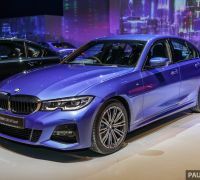 Included in the price is a five-year unlimited mileage warranty programme, and in the case of the 2.0 Hybrid, it also covers hybrid parts and the lithium-ion battery. Early birds also get to enjoy a two-year or 40,000 km Periodic Maintenance Service (whichever comes first). Now, let’s go through them one by one. 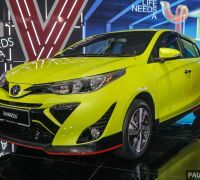 The 2019 Toyota Yaris has finally been officially launched in Malaysia. The hatchback sister of the B-segment Toyota Vios comes with the same 1.5 litre Dual VVT-i engine as the sedan, with 107 PS and 140 Nm of torque at 4,200 rpm. The 2NR-FE DOHC unit is paired to a CVT automatic gearbox with seven virtual ratios, which UMW Toyota Motor (UMWT) calls Sport Sequential Shiftmatic Mode. The Yaris measures 4,145 mm long and 1,730 mm wide, with a 2,550 mm wheelbase. 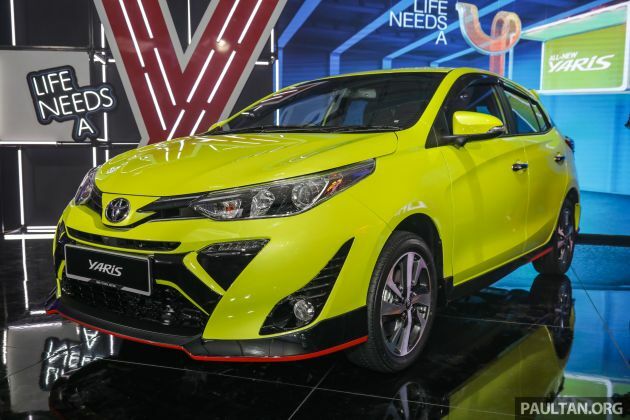 Those dimensions are similar to the booted Vios, but the five-door hatchback’s overall length is 280 mm shorter. 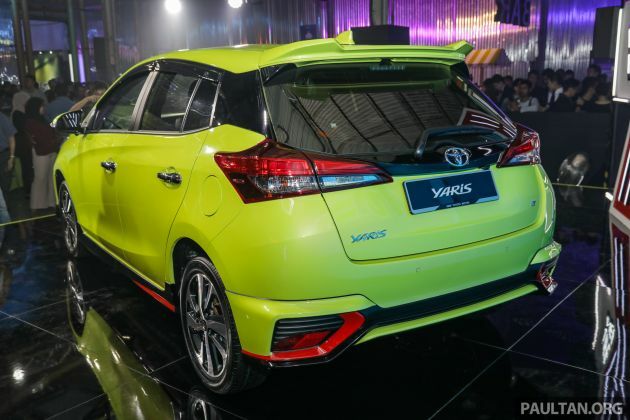 Like the Vios, the suspension consists of front MacPherson struts and a rear torsion beam. Brakes are ventilated discs in front and drums at the back. The top spec 1.5G gets rear disc brakes. Malaysians can choose from three trim levels – J, E and G. The base J spec comes with halogen reflector headlamps with follow-me-home function, LED daytime running lamps, 15-inch rims with 185/60 tyres, door visors, powered wing mirrors, keyless entry and push start, black fabric seats with blue stitching, illuminated scuff plates and a CD player with MP3/USB/AUX/Bluetooth connections. One level up is the mid spec E, which adds on a fair bit. 16-inch rims with 195/50 tyres, projector headlamps, front fog lamps, LED rear combination lamps, wing mirror turn signals, auto fold and retractable wing mirrors, acoustic windshield, a multi-info display, steering audio/Bluetooth buttons, 360-degree Panoramic View Monitor, Digital Video Recorder (dashcam), a 6.8-inch touchscreen DVD head unit with USB mirroring, security/solar film and a Drive Mode switch (Sport and Eco modes) are all standard here. The car you see here is the top G spec, which further adds on rear disc brakes, chrome outer door handles, Optitron meter panel with 4.3-inch TFT multi-info display, leather on the steering/gear knob, MID steering buttons, auto air con (single zone) and six speakers (from four). For safety equipment, the Yaris comes with seven airbags (dual front, side, curtain, driver’s knee), VSC, ABS/EBD/BA and auto door locks as standard. E and G spec cars add on the Blind Spot Monitor (BSM) with Rear Cross Traffic Alert (RCTA). UMWT is offering some options as well. The RM2,880 aerokit includes a front bumper spoiler, rear bumper spoiler, side skirts and roof spoiler (RM2,450 without the roof spoiler); while the dashcam and DVD-AVX can be added on to the J spec. Five colours are available, and they are Super White, Silver Metallic, Attitude Black, Red Mica Metallic and the Citrus Mica Metallic hero colour you see here. Prices start from RM70,888 for the J, rising to RM76,888 for the E and RM83,888 for the top G (all are RM1,000 lower than estimated prices). 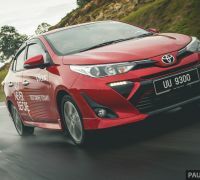 Prices are on-the-road without insurance, and are a couple of thousand ringgit cheaper than the equivalent spec Vios, which is priced from RM77,200 to RM87,300. 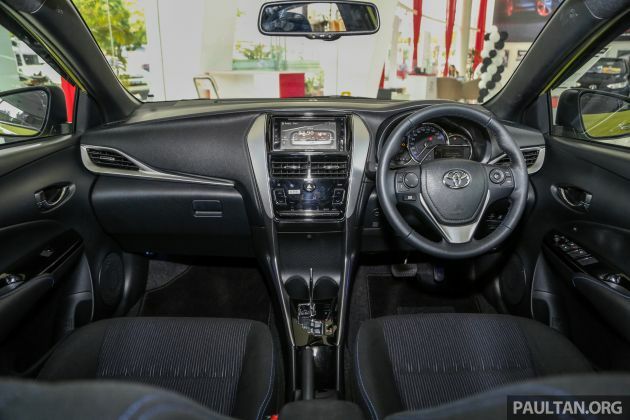 The top Vios comes with leather seats, but both hatchback and sedan specs are otherwise largely similar. 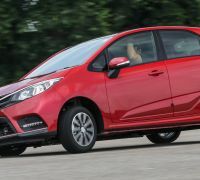 The factory warranty for this locally-assembled (in Bukit Raja, Klang with over 70% local content) model is five years with unlimited mileage. 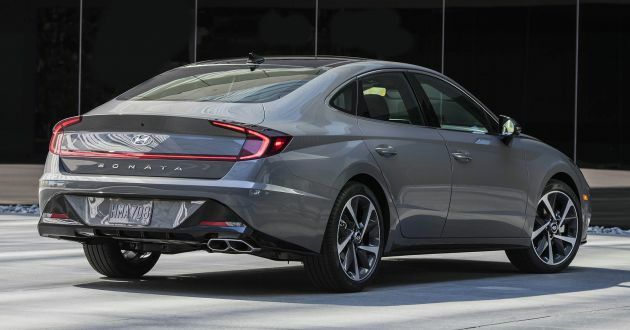 Dimension-wise, the new Sonata is now longer at 4,900 mm (+45 mm), wider at 1,890 mm (+25 mm) and has an enlarged wheelbase of 2,840 mm (+35 mm). The sleeker look sees a compromise to its height, which now measures 1,835 mm (-30 mm). The new shape also results in a drag coefficient of just 0.27, with a flat underfloor and finned taillights helping in this regard. 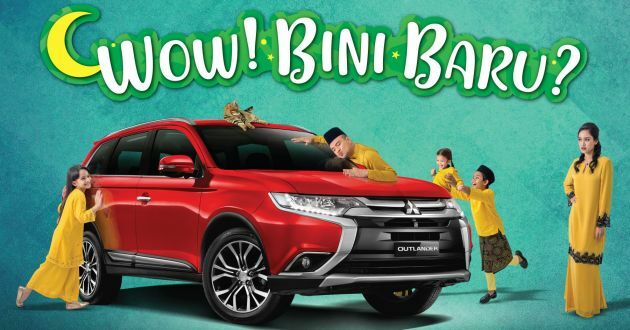 Mitsubishi Motors Malaysia (MMM) has kicked off its annual promotion for the Hari Raya Aidilfitri holidays, with rebates across the lineup as well as discounts and free gifts when you service your vehicle. To start with, from now until May 31, all variants of the ASX and Outlander receive a RM4,000 rebate. The ASX is offered in 2WD and 4WD flavours, priced at RM118,866 and RM133,336 respectively, while the Outlander retails at RM137,888 for the 2.0 litre model and RM152,888 for the 2.4 litre. 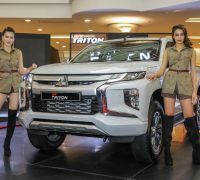 The recently-facelifted Triton pick-up truck, meanwhile, is offered with RM4,000 off the VGT MT (retail price RM100,200) and VGT MT Premium (RM112,500), RM2,000 off the VGT AT (RM105,990) and VGT AT Premium (RM118,600) and RM6,000 off the range-topping VGT Adventure X (RM135,200). All prices are on-the-road without insurance, excluding the aforementioned rebates. Also on offer are a few goodies for those servicing their vehicles at any authorised Mitsubishi service centre from May 2 to June 15. Customers who spend RM300 to RM499 will receive a free engine oil treatment, while those who spend over RM500 will walk away with a kuih raya container and a 10% discount on labour. You’ll get an additional five percent discount on parts and RM38 eVoucher if you spend over RM1,000. Lastly, customers will be given an additional RM20 eVoucher (valid on the next service) when they service their vehicle and recommend a friend to test drive any Mitsubishi vehicle during this period. For more information, visit the official Mitsubishi Motors Malaysia website. Touch ‘n Go has increased the number of highways that are PayDirect-enabled to a total of ten, with six more set to join the list in the future. During its initial introduction earlier in February, PayDirect was offered on just three highways – Duta-Ulu Kelang Expressway (DUKE), Kemuning-Shah Alam Highway (LKSA) and the Stormwater Management and Road Tunnel (SMART). New additions to the list include the Guthrie Corridor Expressway (GCE), Kajang Dispersal Link Experessway (SILK), Maju Expressway (MEX), Lebuhraya Grand Sepadu (GRANDSEPADU), Ampang-Kuala Lumpur Elevated Highway (AKLEH), Kuala Lumpur-Kuala Selangor Expressway (LATAR) and Cheras-Kajang Highway (GRANDSAGA). As a refresher, PayDirect allows users to link up to three Touch n’ Go cards to their eWallet app. Once a card is linked to the eWallet, the toll charge will automatically be deducted from the eWallet whenever a linked card is used at a toll booth (either by tapping it on a reader or by using a SmartTAG), without any deductions on the physical card itself. In the event that the eWallet has insufficient funds, only then will the fare be deduced from the card’s balance. However you can preserve the balance on the card if you enable the auto-reload feature in the eWallet. Reloading the eWallet is done through the phone app via credit or debit card, online banking or TNG Reload PINs with no additional fees. According to Touch ‘n Go, the Besraya Experessway (BESRAYA), Damansara-Puchong Expressway (LDP), Kuala Lumpur-Karak Expressway (KLK), New Pantai Expressway (NPE), Shah Alam Expressway (KESAS) and Western KL Traffic Dispersal System (SPRINT) are the other highways that will soon support the feature. 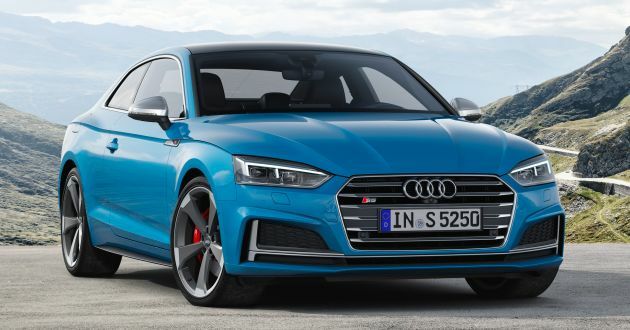 2020 Audi S5 – 3.0 TDI mild hybrid, 347 PS & 700 Nm! The Audi S5 is, for the first time, available with a diesel powertrain. The second-generation S5 made its debut nearly three years ago, and was powered solely by a turbocharged 3.0 TFSI engine. This time, the S5 gets an electrified 3.0 litre TDI V6, which is the same unit found in the SQ5, S6 and S7 TDI. Here, the electrified diesel mill produces 347 PS and 700 Nm of torque (identical to the SQ5 TDI). The century sprint is managed in 4.8 seconds (4.9 seconds for the Sportback), and the top speed is capped at 250 km/h. In comparison, the petrol-powered S5 Sportback makes 354 hp and 500 Nm of torque, and sprints from 0-100 km/h in 4.7 seconds. The biggest difference between the two powertrains is fuel consumption. The mild-hybrid TDI engine has an average reading of 6.2 litres per 100 km versus the 3.0 TFSI petrol’s figure of 7.3 litres per 100 km (based on WLTP standards). That’s 19% more efficient, Audi says, and the vehicle can also coast between 55 km/h and 160 km/h with the engine shut off. 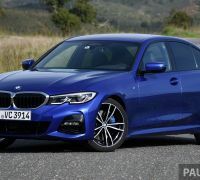 Again, like the S6 and S7 TDI, this S5 gets an electric powered compressor (EPC) that supposedly provides a “very vigorous acceleration” and repeatable boost function while accelerating. It has a response time of under 300 milliseconds (slightly slower than the S6/S7) and provides a peak output of seven kW (maximum rotational speed of 65,000 rpm). EPC works together with a conventional turbocharger, allowing near instant acceleration from standstill. The automaker’s 48-volt electrical architecture is standard here as well, with a belt alternator starter (BAS) that’s capable of recuperating up to 8 kW of power and 60 Nm of torque. A DC/DC converter steps this voltage down for components in the 12–volt electrical system. A compact, air-cooled lithium-ion battery with a capacity of 0.5 kWh installed under the luggage compartment floor serves as the energy centre. With that, Audi says the TDI engine is the ideal unit for agility, spontaneity, low fuel consumption and long range, with a suitably resonant sound to match. The engine is mated to an eight-speed Tiptronic automatic, which is the same unit as the S5 3.0 TFSI. However, the torsion damper in the Tiptronic’s converter includes an rpm-adaptive damper to cushion the vibrations of the V6 diesel that occur at very low engine speeds. Audi’s quattro all-wheel drive is standard, while the sport differential is optional. Progressive steering with sports ratios is featured as standard, but it’s been fitted with S-specific power assist system. Dynamic steering and suspension with damper control, which are optional, can be specified as well. Other than that, much of the car is the same as the existing S5, which includes the exterior and interior kit. If anything, customers can of course choose to personalise the car to their liking. 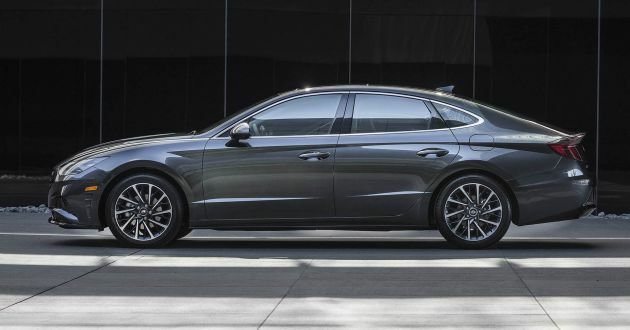 The winners of the 2019 World Car Awards were announced at this year’s New York International Auto Show, with Jaguar coming out on top in three of the six categories covered. 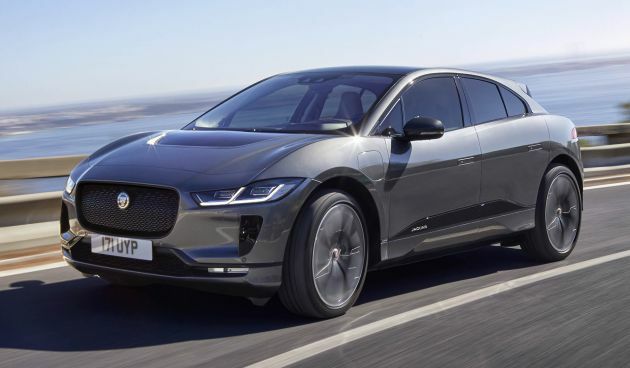 The British carmaker’s first all-electric vehicle, the I-Pace, took home the coveted World Car of the Year award, adding to its list of accolades that also include the 2019 European Car of the Year and 2019 German Car of the Year. The I-Pace faced close competition from another electric SUV in the form of the Audi e-tron, while the Volvo S60/V60 came in third. 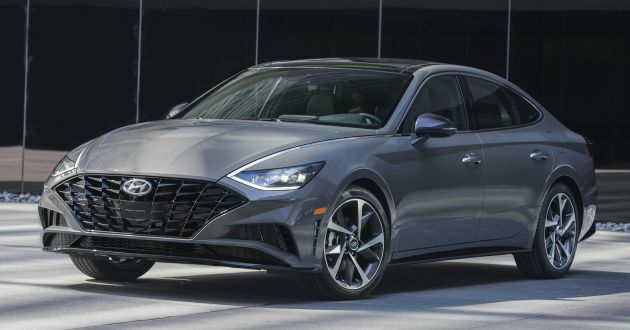 Other models vying for the award include the G20 BMW 3 Series, Ford Focus Mk4, Genesis G70, Hyundai Nexo, W177 Mercedes-Benz A-Class, Suzuki Jimny and Volvo XC40. That’s not the only award the I-Pace took home, as it was also named World Green Car of the Year ahead of the e-tron and Nexo. The EV also secured the World Car Design of the Year with a substantial score advantage over the Jimny and XC40. Meanwhile, the Audi A7 Sportback was named World Luxury Car of the Year, with the judges choosing it over the Audi Q8 and BMW 8 Series. Based on the voting results, the A7 scored 763 points compared to the 8 Series’ 761 points and the Q8’s 760 points. The C118 Mercedes-Benz CLA and Volkswagen Touareg were also among the finalists in this category, both tied at 745 points. In the World Performance Car of the Year category, the McLaren 720S edged out the likes of the Mercedes-AMG GT 4-Door Coupe, Aston Martin Vantage, BMW M2 Competition and Hyundai Veloster N.
Although the Jimny didn’t win the main prize at the awards, everyone’s favourite adorable off-road mini SUV was named World Urban Car of the Year. The Jimny managed to fend off the Kia Soul, Hyundai Santro, Audi A1 and SEAT Arona to do so. Beyond the awards for cars, the organisation also recognised Sergio Marchionne as its 2019 World Car Person of the Year. The Italian-Canadian executive passed away in 2018, and was CEO of Fiat Chrysler Automobiles (FCA), as well as chairman and CEO of Ferrari at the time of his passing. When it comes to purchasing a Mercedes-Benz Certified Pre-owned vehicle, finding one in excellent condition at an attractive price is of the utmost importance. Thankfully, Hap Seng Star is prepared to assist you in that regard with the Mercedes-Benz Pre-owned Bonanza happening from April 20 to May 5, 2019 (9am to 6pm daily) at Hap Seng Star Kinrara Pre-owned Centre Kinrara. 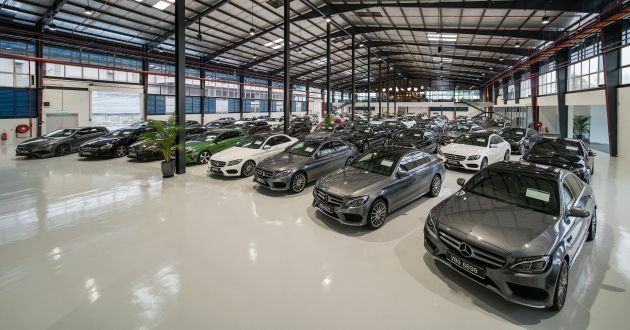 At the largest facility for pre-owned Mercedes-Benz vehicles in Malaysia, you’ll be spoilt for choice when it comes to finding the right model. Rest assured that whichever vehicle you pick, you’re getting a Mercedes-Benz that meets the high standards of the Mercedes-Benz Certified programme. Vehicles under the Certified programme are sourced from authorised MBM dealers, with the condition that they are not older than six years or exceed 125,000 km in mileage. 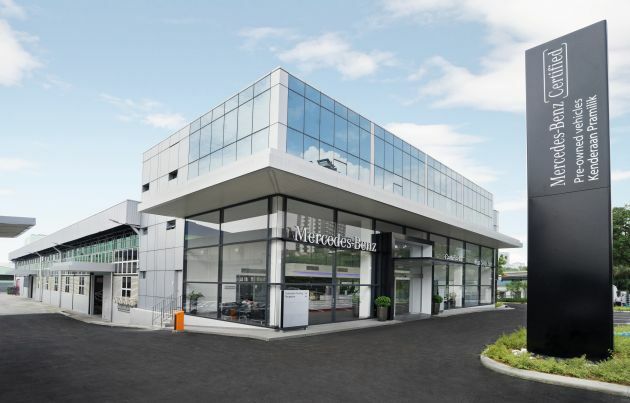 They must also be devoid of any identifiable structural damage and be fully serviced and maintained at Mercedes-Benz authorised service centres using only original parts. From there, these vehicles are subject to a thorough 215 multi-point inspection by certified technicians, which covers a myriad of aspects, including engine components, body and chassis, electrical systems, as well as extensive road testing. Only when a car passes the inspection, and have its genuine service and maintenance records checked and verified, will it receive the Mercedes-Benz Certified stamp of approval. Put simply, they are either the best pre-owned vehicles you can buy, or nothing at all. At the event, Hap Seng Star is offering attractive deals on popular models for you to take advantage of. For instance, the A 200 is available from RM158,000, while the GLA 200 can be had from RM183,000. Should sedans are more up your alley, consider the C 250 from RM230,000, or the E 200 from RM255,000. There will also be daily “special deals” for selected models. That’s not all, because each purchase will also be rewarded with a goodie bag worth RM1,350 that includes three times access to Plaza Premium Lounge. You’ll even be entitled to enter Hap Seng Star’s Gold Rush campaign, with 100 gram of 999.9 gold awaiting monthly winners. Meanwhile, the year-end grand draw will see prizes such as 200 gram, 100 gram and 50 gram of 999.9 gold being awarded to lucky winners. Young Star Agility Financing* by Mercedes-Benz Financial Services is also available for individuals who seek value, unrivalled benefits and more importantly, peace-of-mind coverage when buying their preferred Mercedes-Benz Certified Pre-owned vehicle. With Young Star Agility Financing, customers can enjoy flexible end of agreement options and end-to-end solutions such as flexible financing, insurance solutions, service maintenance and extended limited warranty tailored to the customer’s preference. Now for a limited time, customers who decides to take up Young Star Agility Financing will enjoy four complimentary comprehensive service packages. If you’ve been looking to purchase a pre-owned Mercedes-Benz model, the Hap Seng Star Mercedes-Benz Pre-owned Bonanza is where you’ll want to be. Come by on April 20 and 27 for a chance to chat with paultan.org’s very own Hafriz Shah about all things Mercedes-Benz. Interested? Well, you’ll want to register your interest here or in the form below. Hap Seng Star Kinrara Pre-owned Centre is located at No. 18, Jalan BK 1/13, Bandar Kinrara Industrial Park, 47100 Puchong, Selangor (Google Map link here), and can be reached at 03-80620366 or 03-80620343. *Young Star Agility Financing by Mercedes-Benz Financial Services is currently available at Hap Seng Star Pre-owned centres only. Very popular in the Malaysia market is Yamaha’s MT-07 but the model is getting a little long in tooth now, after its launch in 2015. 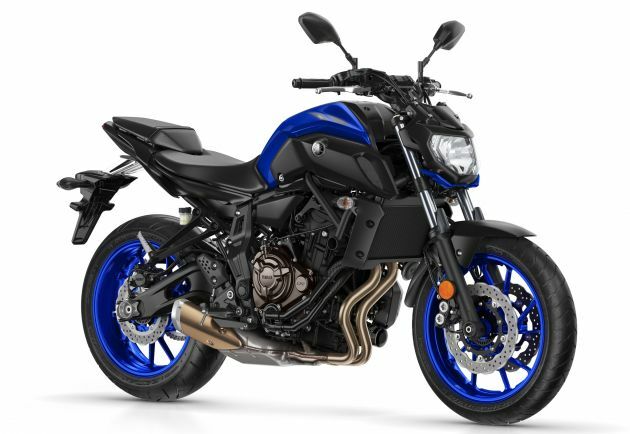 However, a couple of photos have emerged, sourced from tmcblog.com and greatrider.com, showing what is purported to be a Yamaha MT-07 with turbocharging. These patent drawings show a two-cylinder mill with a turbocharger installed, with the exhaust headers siamesed into the turbocharger and the forced induction air going up the left side of the engine. Turbocharging for motorcycles is not new, of course, with all the Japanese manufacturers coming out with a forced induction motorcycle back in the 1980s. Turbocharging for motorcycles fell by the wayside by the mid-1980s, with developments in intake tract and cylinder head engineering delivering all the power riders could handle without the complexity, weight and lag of using a turbocharger. But with increasingly tightening emissions regulations – Euro 5 comes into force in 2020 – manufacturers have been looking for ways to get better power output from their bikes without flouting the law. This means small capacity engines with forced induction to make up for the shortfall in power that comes with meeting emissions standards, a page taken from car engine makers. It remains to be seen when and how the future Yamaha MT-07 might do this without the disadvantage of turbo lag. The 2019 Yamaha MT-07 carries a 689 cc, liquid-cooled, Crossplane two-cylinder that produces 73.7 hp at 9,000 rpm and 68 Nm of torque at 6,500 rpm. Priced at RM38,288 excluding road tax, insurance and registration, the MT-07 comes in Race Blu and Matte Grey for Malaysia.